No7 Sheer Temptation is the perfect marriage between a gloss and a lipstick. It glides perfectly like the creamiest lipstick and has the perfect amount of shine. Not sticky at all and it makes my lips feel moisturized. I bought this one in Delight, which is a fresh natural pink with glossy finish and tiny golden shimmer particles. They are not really prominent, and you can’t really see them, but your defiantly can feel them somewhat on your lips. Not a long lasting lipstick but it’s very easy to reapply without mirror, because it is so natural looking. To sum it up, it’s a great lipstick if you are looking for something moisturizing like lip balm with a pop of color on your lips. Also think they are quite good dupes for Chanel's Rouge Coco Shines. Have you ever tried the No7 Sheer Temptation lipstick? What shade would you recommend? Hi Marina! 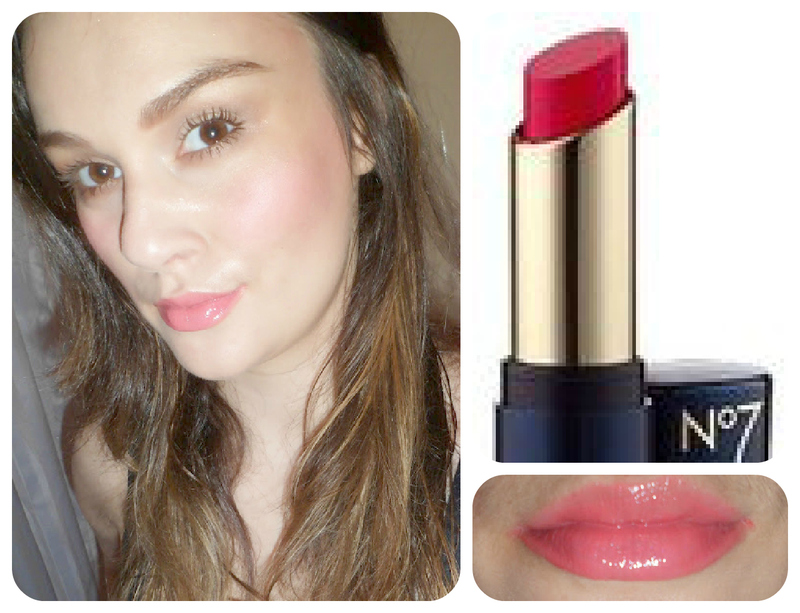 this lipstick is so great, love the color and the texture! kisses! That color looks very pretty on you. I haven't tried this product before. I'll have to keep an eye out for it! Such a pretty colour on you. You have such flawless skin.! !